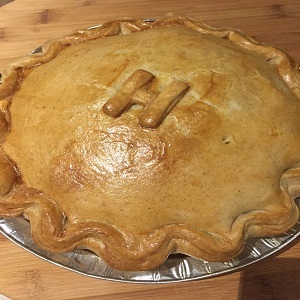 PIES – Our homemade pies have gained us many plaudits and is something we are extremely proud of. All our pies and pastries are homemade in the shop using the finest ingredients. We have a team of three lovely ladies who make all our pastry from scratch at the rear of the shop. Our pies come in individual and family sizes and come in a number of fantastic flavour combinations such as; Steak and Ale, Steak and Mushroom, Steak and Kidney, Mince Beef and Onion, Chicken and Mushroom, Chicken Curry and Chicken Ham and Leek. Away from pies we also make our own sausage rolls, turnovers, scotch eggs, chicken nuggets, and pork scratchings. All items are available every single day from our hot cabinet.